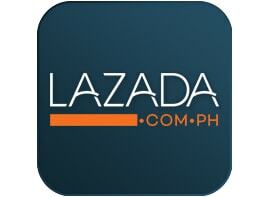 Lazada is the number 1 online shopping outlet in South-East Asia. Manage orders, inventory & listings by connecting Linnworks with your Lazada account. Lazada is the biggest eCommerce presence in Malaysia, Vietnam, Thailand and the Philippines. Backed by the Alibaba Group, selling on Lazada is easy, and is even easier with our connector for Linnworks. To use the Lazada integration, you must first install it from within Linnworks.net. Click Install to add the Connector. During installation, you will be asked for your Linnworks.net Username and Password to authorize the installation. Once the application is installed, the Linnworks page will be refreshed. If it is not refreshed automatically, press the Refresh button in your browser, or press the F5 key on your keyboard. The Lazada icon will be added at the bottom of the left-hand menu bar. Click on the Lazada button to open the App. When you open the App for the first time, you will need to agree to the Terms and Conditions by ticking the box. Click on the Terms and Conditions link to view a copy before agreeing. To continue, click Register Now. Registration will create a token in Linnworks that authorizes the App to talk to your account without you needing to login/authorize every time. If there is an issue at this stage, you’ll be redirected to a separate screen to manually request a token, and copy and paste it into the app. However this does not happen often. After registration, when the app is opened for the first time, you will be shown a pop up for configuration. These settings are required to perform all the tasks this connector automates between Linnworks and Lazada. User ID: User ID of the Lazada account will be the email address located in the API reference section in your Lazada Seller Center. API URL: API URL of Lazada account. This can also be located in the API reference section in your Lazada Seller Center. API Key: API Key of Lazada account: This can be generated by clicking on Get API Key from Lazada link on the app. Alternatively, you can browse to Manage Users on your Lazada Seller Central account and copy and paste this into the API field of the Lazada Connector. Drop down list of all payment services configured in Linnworks. Selection what the order status should be in Linnworks when an order with this payment service is created in Linnworks? The Payment Service in a Lazada order that is mapped to the selected Linnworks Payment Method. Ensuring that the Linnworks orders have the correct Postal Service, based on the selected Shipping Option in the original Lazada order by mapping them specifically. This section deals with your choice of subscription level and payment interval for the Lazada Connector App. Please select either a Monthly or a Yearly Subscription, which summarises the cost, and then click on Continue. You will then be prompted to select a payment option, and complete the subscription. The Dashboard displays information about the status of the Lazada integration, giving you an overview of the order and stock synchronisation. This shows the status of the services that are coordinating the orders and stock levels between Linnworks and Lazada. There’s also a Sync button to force that service to run immediately, instead of waiting for the next scheduled time. Import Order from Lazada – Downloading new orders from Lazada to Linnworks. Update Stock on Lazada – Send updates for stock levels to mapped listings on Lazada from the Linnworks Inventory items. Process Order – Notify Lazada of any orders that have been marked as Processed in Linnworks, along with any Tracking information. This shows the number of orders downloaded each day from Lazada for the last 7 days. This shows the number of orders from Lazada that have been marked as processed in Linnworks, and notifications sent to Lazada each day over the last 7 days. This shows the number of stock items that have had updated stock levels from Linnworks sent to their linked listings on Lazada each day over the last 7 days. This shows the number of new products that have been sent to Lazada through the App, per day over the last 7 days. This list contains details of any orders imported into Linnworks from Lazada by the Connector App on the current day. This list contains the details of any inventory items that have had updated levels sent to their linked listing on Lazada by the App today. This list contains details of the Lazadaorders that have been marked as Processed in Linnworks and updated to Lazada by the Connector App today. This list shows details of products from the Linnworks inventory that has been uploaded as new listings on Lazada today. To open this screen, select the Lazada Configuration option. The list shows any integrated Lazada channels. You can edit the User ID, the API URL & the API Key. Click on the Test button to verify. To set an integrated Lazada channel as Inactive, click the Active slider to change the setting. An Inactive channel doesn’t download orders, receive order updates or send Processed Order notifications. The top right hand corner has a ‘+’ button that allows you to integrate another Lazada channel. Specify theSubSource name to use in the App and Linnworks, the User ID, the API URL and the API Key. Click the Test button to confirm the integration works correctly. Update details if you receive an Alert or Error message, and retest. Ensure the channel is Active. For the Linnworks order created by the Connector to include the correct Payment method (Cash, Credit Card, PayPal, etc), as opposed to Default, you need to map the payment options in this section. 1. To map or update payment methods, select the Payment Method Mapping option. 2. The screen displays a list of Payment Methods already mapped. To add a new Payment Method Mapping, click on the + button in the top right hand corner of the window. Select the Linnworks Payment Method to map it to. Select the Lazada Payment Service to map against Linnworks. Select the Linnworks Order Status this payment method equates to. To ensure that the correct Postal Service is used in the Linnworks order that is created by the App, you should configure the Lazada Shipping Services in here. This ensures that all Lazada orders in Linnworks can have the correct shipping label printed for them, and that tracking information can be passed back to Lazada. To map Postal Services, or Edit/update them, select Postal Service Mapping. The Postal Service Mapping screen shows all currently mapped services. To map a new service, you can click on the + button in the top right hand corner of the window. Select the appropriate Linnworks and Lazada Postal Services. Click Add to update the Postal Service Mapping list. Please Note: If a Lazada Postal Service hasn’t been mapped, then the order in Linnworks will have the Default Postal Service, which may cause issues when dispatching the products in the order. The Product Listing tool allows you to create a listing on Lazada for an item in your Linnworks Inventory. In the top right hand corner is a filter that allows you to select which Lazada channel you’re listing to and checking, if multiple channels are integrated. The list of items can show with color codes the status as Not Listed, Listed, Listed with a warning,or Error when Listing. Please Note: Lazada channel name used at the time of integration (In step Step 3: Configuration -> <1> Lazada Configuration -> Tag Name) needs to be added in Linnworks Inventory’s Extended Property. Each entry loads information from the SKU, and you can edit the Category and Configuration details for the listing to be created from the item. If the item is unlisted, or had errors, once this has been addressed, you can Create the listing. If a listing was created, and updates have been made in Linnworks, you can Update the listing. Open the Listing Tool from the Product Listing menu entry. Select the correct Lazada channel in the top right-hand corner to display the available SKUs and their listing status. Identify the item you’re looking at by typing the Linnworks SKU into the search field under SKU, or the Lazada SKU into the search box under Channel SKU. You can also search by Item Title. If the item has a Green status, it has been Listed successfully. If the item has a Yellow status, then it hasn’t been listed. Check the Categories & Config options (Click the cog) before clicking on Create to list on the selected Lazada channel. If the item has an Amber/Orange status, it has been listed, but with Errors. Click on the i for more information. If the item has been updated, the Update button can pass the changed data to the listing to correct it. If the item has a Red status, then it is either in the process of being listed, or there was an error. Click on the error message (denoted by an exclamation mark) if present, to identify the problem. You can use the Create button to retry listing the item, after rectifying the problem. The Listing Description can be edited at the time of listing by clicking on the appropriateSettings icon (a cog) in the Description column. Selection of Lazada category in which user wants to list product can be accessed by clicking on the appropriate Settings icon (a cog). Once clicked, a list of Lazada categories will be displayed in a pop up window, and can be selected by clicking on the Select control for the correct Category. Attributes are information needed by Lazada in order to create a listing. Required attributes can be seen and modified by clicking on the appropriate Settings button (a cog). Once clicked, the available attributes are displayed in pop up window (Configs). Changes can be made here, and saved by clicking on Save. Documentation allows you to access this user manual. The Support button allows you to make technical queries to the App support team. The ? symbol can be found throughout the App, and allows you to access additional information about the section you are currently in. Once clicked, detailed information for that screen or function will be displayed in a small window. The Stock Update feature, which is currently in Beta, allows Linnworks to send Available Stock levels to listings on Lazada. Currently this only works where the Lazada SKU is the same as the Linnworks SKU. There is no mapping tool for non-matching SKUs currently, but this is a planned development. New user will be created. Copy the email as the User Name and API key of the new user created from the manage user page and paste it into the Lazada Application.